The Trent & Mersey Canal Society was founded in 1974 to campaign for the re-opening of Harecastle Tunnel. We were quickly also involved in the campaign to make Shardlow a conservation area. Both campaigns were successful. In 1977 we celebrated the bicentenary of our canal with a large rally/event, and we also launched our campaign to restore all the mileposts on the canal. Original mileposts removed during the war were found, cleaned and painted before being reinstalled. Thirty-four new mileposts were cast and the final one was unveiled in October 1985. We campaigned vigorously during the 1980s and 1990’s to safeguard the survival and subsequent restoration of the Anderton Boat Lift and are proud to see its superb transformation into one of the region’s key visitor attractions. The Society has also championed the cause of other worthwhile projects such as the Cheshire Flight Campaign and more recently the visionary Burslem Port Project which will invigorate so much of the landscape around Middleport, Stoke on Trent. All our officers and committee members are volunteers who manage the everyday affairs of the Society and organise a variety of events held throughout the year. These include Work Parties and Social Evenings. Our members come from many different walks of life and backgrounds but all have a love of the waterways at heart and particularly the T&M as it is affectionately known! Our members keep an eye on local planning applications that might affect or mar the otherwise restful historic canal and its landscape so that the Society can take appropriate action. There is regular communication with members on such issues, who have the opportunity to discuss them at meetings and a programme of social events. 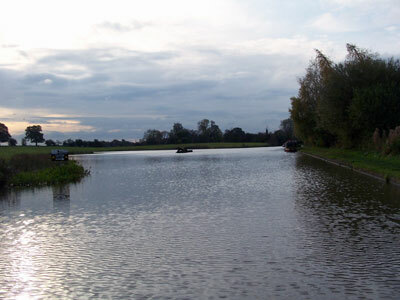 We work closely with CRT (Canal and River Trust), the charity responsible for this canal. Currently we are engaged in helping maintain the Cheshire Locks each month, and are also re-painting the distinctive mileposts along the canal.